You can download copies of all of the important documents below. You must agree with every clause in these documents to participate in the Event. Other important info. Click to expand. To find your correct singlet size, please find a singlet that fits you well. Lay the singlet flat on a table and measure the width (of just one side) of the singlet from arm pit to arm pit. 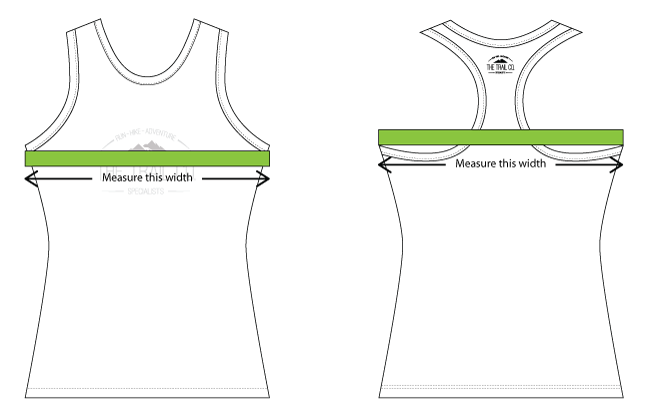 If you have worn a singlet from The Trail Co. before then this is the size you should choose again. Please note: while we try our very hardest to ensure a perfectly fitting singlet, due to manufacturing tolerances there may be a slight difference in your singlet dimensions from those recorded in this table.